Leading Manufacturer of pp scrim fabrics, white pp scrim fabrics, pp laminated tent fabric and white hdpe scrim fabric from Valsad. We are offering PP Scrim Fabrics. We can offer open width fabric up to 122 inches/310 cm wide i.e. circular/tubular fabric of 61 inches/155 cm. wide. On the lower side, we can offer circular/ tubular fabrics of minimum 24 inches/61 cm wide and small size open width fabric can be offered of any width with thermal cut. 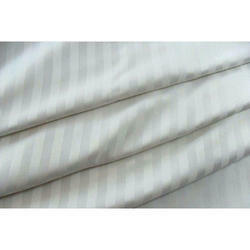 We offer PE/PP Woven Fabrics ranging from minimum 45 grams/square meter i.e. GSM (1.32 oz/square yard) to maximum 175 GSM (5.1 oz/square yard) with varying weaving mesh. These fabrics can be made in colors of your choice and requirement. We also offer UV Stabilised fabrics with customized weaving mesh. Fabrics can be offered in roll form as well as piece form. 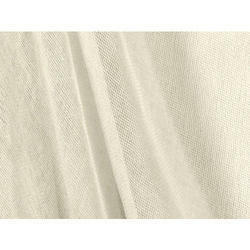 We manufacture of White PP Scrim Fabrics. We can offer open width fabric up to 122 inches/310 cm wide i.e. circular/tubular fabric of 61 inches/155 cm wide. On the lower side, we can offer circular/ tubular fabrics of minimum 24 inches/61 cm wide and small size open width fabric can be offered of any width with thermal cut. We offer PP Woven Fabrics ranging from minimum 45 grams/square meter i.e. GSM (1.32 oz/square yard) to maximum 175 GSM (5.1 oz/square yard) with varying weaving mesh. These fabrics can be made in colors of your choice and requirement. Fabrics can be offered in roll form as well as piece form. 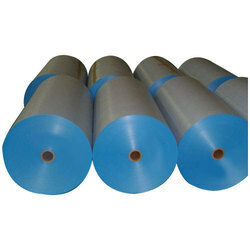 We are offering PP Laminated Tent Fabric. We have two coating machines, one with maximum coating width of up to 122 inches/310 cm and another one with maximum coating width of up to 75 inches/190 cm. We offer both one side as well as both side coated fabrics. The minimum width of laminated/coated fabrics can be as per your requirement with blade cut edges and the maximum we can offer is up to 120 inches/305 cm. Width bigger than 120 inches (305 cm) can be made by heat sealing the panels of laminated fabrics. Our range of laminated fabrics starts from 70 GSM (2.05 oz/square yard) to 400 GSM (11.7 oz/square yard). We can offer fabrics wherein additives like Color Master Batch and Vapour Corrosion Inhibitor etc. are required to be incorporated in the lamination as per your requirement. Roll length of your choice can be offered. As the material Polypropylene, when exposed to sun, tears, we strictly provide UV Stabilization to this material making it more long lasting. 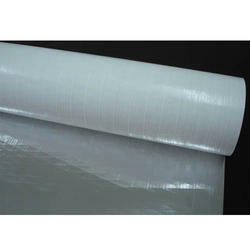 We are offering White HDPE Scrim Fabric. These are heavyweight fabrics and find extensive usage in areas that require UV stability. Further, the presence of scrims in a well-researched weaving pattern also help in enhancing the flatness, abrasion resistance, tear properties and thickness of the fabrics. These are also preferred to be used as Geo membranes for projects involving water insulation liner for wastewater impoundments, pond liners, and other landscaping applications. With the fabrics developed to deliver excellent performance in a harsh working environment (as these can take high-temperature fluctuations), these are equally preferred in hot and cold climates.